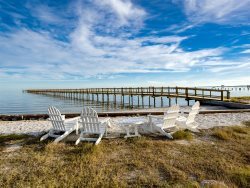 Discover vacation bliss while relaxing on the balcony of this 2nd level condo overlooking Aransas Bay. "Golden Gull" is located in the Rockport Racquet and Yacht Club which provides access to fun and relaxing adult and kid's swimming pools! This lovely oak treed complex is situated along Fulton Beach Rd. with sweeping views of the bay and access to great fishing. 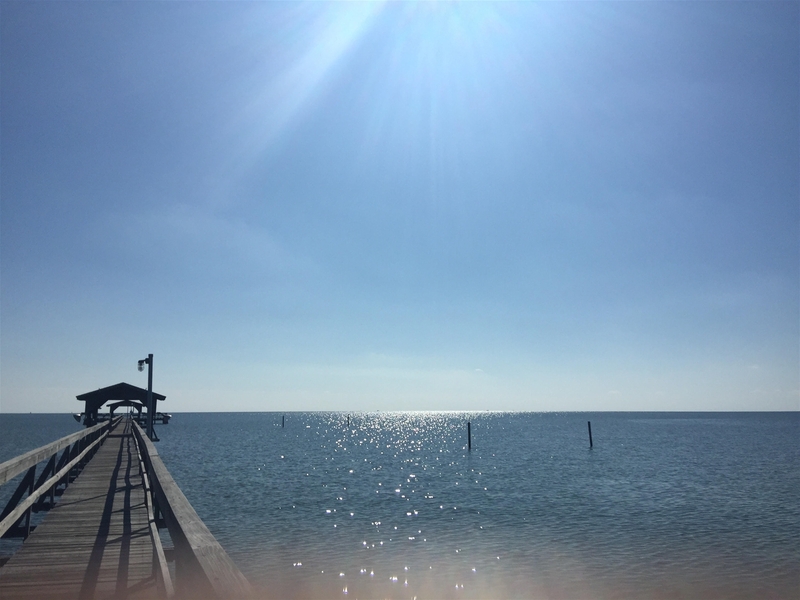 Have you ever dreamed of waking up after a great nights rest, walking outside, and feeling cooling bay breezes against your skin all while looking at the beauty of a seemingly never ending body of water? At Golden Gull you can make that vision and many more a reality. Sleeping up to 4 people, this home is perfect for a fun vacation with family or friends. Golden Gull is a 2 bedroom, 2 bath unit that sleeps 4. The living room as adorable coastal decor, a comfortable couch, reclining chair, and flat screen TV. The dining room table seats four people and has beautiful views of the complex. The kitchen is fully equipped with a dishwasher and all the appliances necessary to meet your cooking needs. The master bedroom has wonderful decorations, a queen size bed, a large dresser, access to the balcony with breathtaking bay views, and a flat screen TV with DVD player. The second bedroom has 2 twin beds and also has beautiful bay views from the window. This unit is tastefully furnished with coastal flare and has many upgrades. Now has wifi! Take a drive or walk along Fulton Beach Road with its unique windswept oak trees and coastal birds. We know you will enjoy your stay! Loved the Golden Gull - exceeded expectations. This was a wonderful place for 3 gals to stay. Very roomy, very clean and well equipped. Gorgeous view of the bay from everywhere in the house. Miss Kitty's was helpful and the Golden Gull was a nice unit. It was decorated nicely and had a lot of kitchen utensils. Great access to the water. We stayed an extra day! We were having too much fun and the fishing was great. Don't go to IBC bank. They didn't give us the time of day when we went to change a $5 bill into quarters for the laundry... the said we had to go to "THE WALMART". They only do business with people who have accounts. Every other place we went we were treated wonderfully! We'll be back for sure. Maybe even buy a place!! !